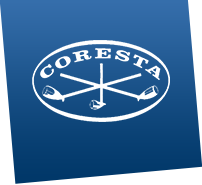 The CORESTA Routine Analytical Chemistry Sub-Group has been given the responsibility to organize the annual testing of the CORESTA Monitor test piece. to release CM9 as a new monitor test piece on the basis of the results mentioned above. In summary the analytical results for the CM8 and the CM9 test pieces lead to the conclusion that they can be used as monitor test pieces in smoke analysis.